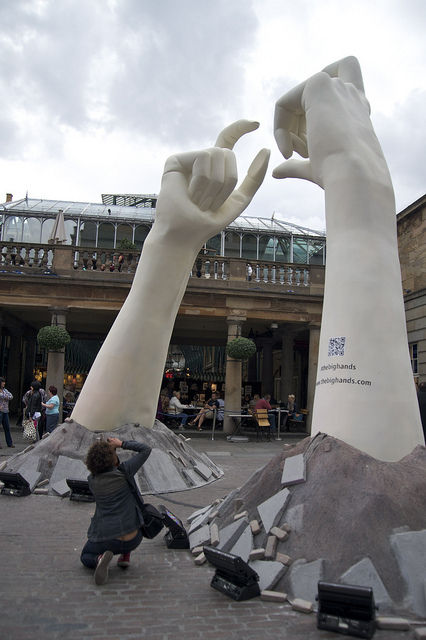 Have You Seen The Big White Hands In Covent Garden? 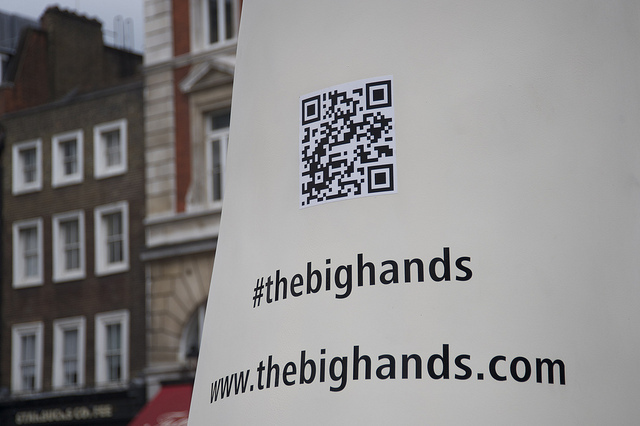 Sponsor Have You Seen The Big White Hands In Covent Garden? 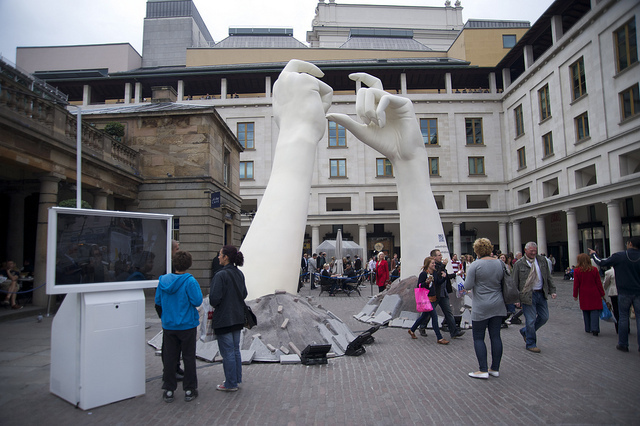 This pair of giant white hands appeared in Covent Garden over the weekend. 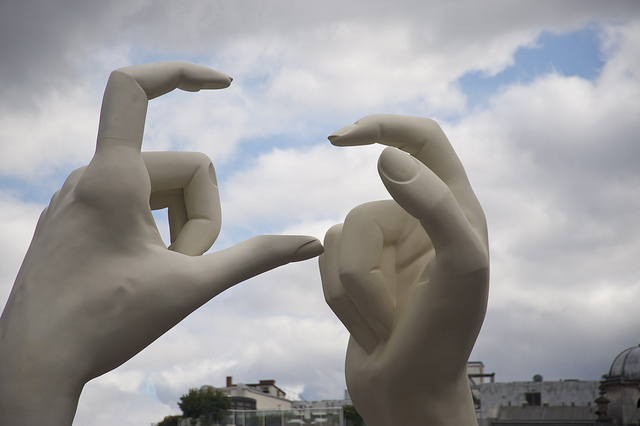 Similar appendages have appeared in seven other cities across Europe. Clearly, there's some big product launch on the horizon, and whoever's behind it decided to do something more intriguing than slapping a few posters up. But the hands carry no branding or information, other than a link to the mysterious URL www.thebighands.com and hashtag #thebighands. 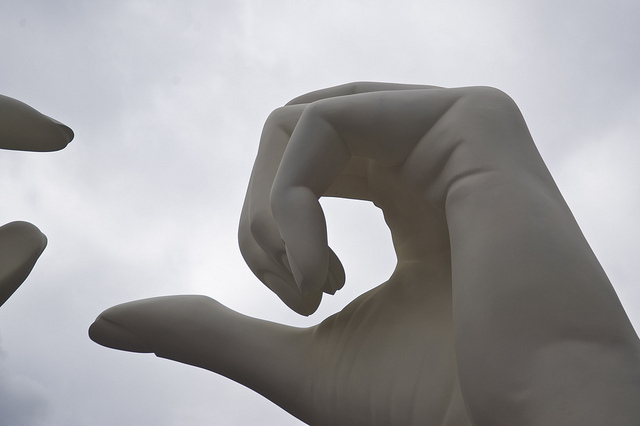 What can it all mean? This video may offer further clues. All images by Chris Osburn.